This is the first year for UK Championship Qualifiers to stage at the South West Snooker Academy, Gloucester and play under the new format (All matches are best of 11). Ben Woollaston who won PTC3 three months ago continued his good run of snooker this season. 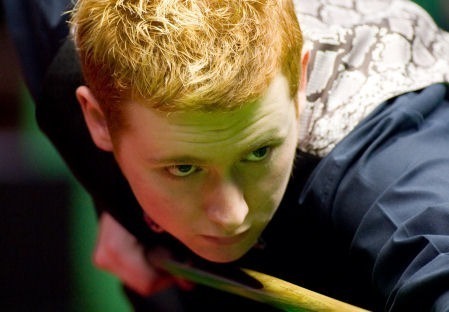 Ben defeated Sam Craigie in the thriller from 3-5 down to win 6-5. He is now advanced to round 4 which will play Michael Holt. Another player who came through tough battle was Jimmy Robertson. The Crucible Last 32 finalist led 3-0 at the beginning of the match before Kurt Maflin fought back to lead 4-3 with efforts of 93 and 51. Robertson then levelled before he won the decider. Ian McCulloch beaten James Wattana in decider as well with 86, so did Mark Joyce. The Chinese Army is powerful and four out of seven made it to the round 4. Their names are Tian Pengfei, Cao Yupeng and PTC fighter Xiao Guodong and Li Yan. The senior players were doing well although they participated in World Senior Championship which held in Peterborough this weekend. Jimmy White and Tony Drago both safely won their opening match and through to the next round.